Hello, crafty friends! Leslie here to announce the Winner and Top 3 from last month’s “Anything Goes” challenge. A huge THANKS to everyone who participated – we sure enjoyed perusing those gorgeous entries! You’ll remember the prize up for grabs was the Hero Arts Constellation Digital Kit! Congrats, J. Atterbury Creations! Please email us at a2zscrapping@gmx.com to receive your digital kit and your winner’s badge! Categories: Handmade Cards, winners | Tags: anything goes | Permalink. A2Z Scrapbooking has a challenge that makes everyone happy – it’s ANYTHING GOES. I so enjoy the images of “In the Study and especially the chair. With a title like Chapter 1, you could write a manuscript or just a pick-up note. Just as you can make a card without the matching dies, the matching dies are so marvelous to move around to create whatever scene you want. You can find me at A Bit of This and That. Categories: anything goes, Handmade Cards, Hero Arts | Tags: 2018, a2z Scrapbooking, a2z Scrapbooking Store, anything goes, Arlene, card, die cuts, Hero Arts, stamping | Permalink. Hi everyone! Here’s to a new month! And that means a new challenge here at a2z Scrapbooking Blog! Our challenge this month is Anything Goes! We know everyone loves this particular theme and we’re happy to indulge you! Create whatever your heart desires! As you know, we’ve changed our rules a bit and participants are no longer required to use Hero Arts products to enter our challenges. Each month we feature a ‘Digi of the Month’ which will be the prize offered to our randomly-chosen challenge winner, and this month it is the Hero Arts Constellation Digital Kit! Categories: Challenges, Handmade Cards, Hero Arts | Tags: anything goes | Permalink. Hi everyone! Here’s to a new month! And that means a new challenge here at a2z Scrapbooking Blog! Our challenge this month is “Anything Goes” and we can’t wait to see what you create! As you know, we’ve changed our rules a bit and participants are no longer required to use Hero Arts products to enter our challenges. Each month we feature a ‘Digi of the Month’ which will be the prize offered to our randomly-chosen challenge winner, and this month it is Hero Arts One of a Kind! How cute is this?! Hi all. It’s Anything Goes this month at our challenge. So I’m here to show you a card in a box I made using the Digital kit called Flutterbies Printable PT006. 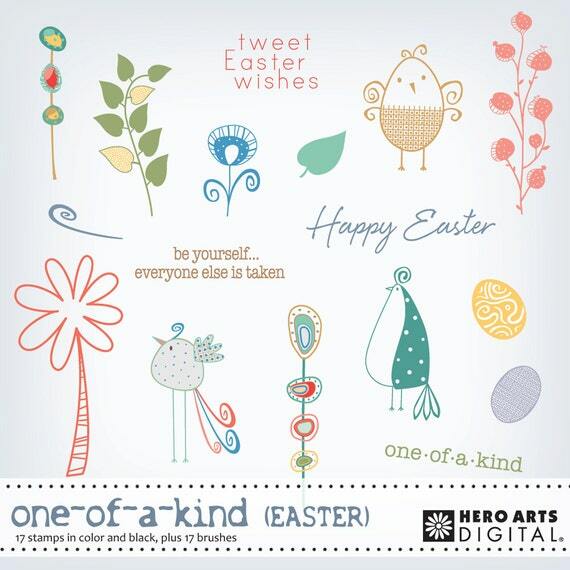 A2Z are the sole supplier of Hero Arts Digital kits and stamps. I really like the way I can choose the size I print my images at. The a2z scrapbooking store carries a wide variety of Hero Arts products! Get discounted new releases, sales, grab bags & more. Proceeds from our store benefit Celiac & Behcets disease foundations. Use my discount code Dawn15 to get 15% off your purchase of $25 or more. If you’re looking for a Hero Arts product you don’t see in store, use the Request Custom Order button from within the shop. Categories: anything goes, Challenges, Digital, Friendship Cards, Hero Arts, Watercolor | Tags: anything goes, butterflies, card in a box, digis, digital kit, Flutterbies digital stamps, Hero Arts, Hero Arts Digital Sets, Hybrid card, Watercolor | Permalink. Hi, friends, it’s Chark here today to announce the Anything Goes challenge winner and the three runners-up. The top pick receives a $25 gift code to the store and the three runners-up favorites get a blog badge to let the world know we think their talent is amazing. Our top winner is Jacqueline, who used white embossing on top of patterned paper and then topped it off with this perfectly matched butterfly stamp. What a beautiful way to use patterned paper, don’t you think the white embossing ties it all together? To claim your prize, just email us at a2zscrapbooking@comcast.net and have fun shopping! Our first runner-up is Maura with this cool grunge butterfly card. I’m seeing a theme this challenge, though Maura’s butterfly card has a whole different feel and different butterfly stamps. Her bright colors really make this one pop! Our next runner-up is Tasha, with a classy gold and white holiday card that features holly stamps, gold glitter embossing powder and gold spray droplets. The way the holly branches frame the center panel is just right and the berries even have a touch of glossy accents. Our third runner-up is Greta, with this pink embossed card with black ink on top of the embossing. What a striking effect for this valentine…I know I’d love to receive this one in the mail. Can I get a “wow” from the crowd? These are absolutely beautiful and with all the lovely entries this month, the team had a hard time deciding on their favorites! Thanks to everyone who entered this month, it was fun checking out your creations. Congratulations to our winners! Runners-up, please email us at a2zscrapbooking@comcast.net to get your blog badges. Our February Challenge is “Any Shade of Red,” so dust off those Hero Arts stamps, dies and stencils and make them a focal point of your project, add in some red somewhere and link it up here. YOU might be the next winner of the $25 gift code to the a2z Scrapbooking store, where you can find all sorts of goodies. Good luck! Thanks for stopping by and Happy Tuesday! Categories: anything goes, Challenge Winners, Challenges, Hero Arts, winners | Tags: anything goes, January 2017 winners, january winners, winners | Permalink. It’s Donna and the challenge for this month is “Anything Goes”. Have you joined in on the fun? I hope you will take time, there is still time. You can link your project here. Please be sure that your project contains at least ONE main HERO ART Product as the focal element! I finished my card by adding some Hero Arts Sparkle Gem hearts to my card. Categories: anything goes, Challenges, Embossing, Friendship Cards, Handmade Cards, Hero Arts, Valentine | Tags: anything goes, Challenge, Hero Arts Floral Heart Stamp & Cut, Hero arts Nesting Hearts Infinity dies, Hero Arts Romeo and Juliet, Hero Arts Sparkle Gem hearts, Valentine | Permalink. It’s Donna here, Happy New Year’s, I wish all of you good health, love and a crafty year! There is a new challenge that I hope you will play along, the Challenge is “anything goes”. You can link your project here. Please be sure that your project contains at least ONE main HERO ARTS Product as the focal element! I am using the cute Hero Arts “Floral Heart Stamp & Cut. I used some red glitter paper to cut the die out. I then die cut the “Valentine” from the Hero Arts “Valentine Message and Three Hearts Fancy Dies”. I used liquid glue to adhere the “Valentine” to the heart die. I then added some glossy accent to make the “Valentine” stand out. The sentiment is from the Hero Arts “Floral Heart Stamp & Cut” set. I stamped the sentiment with Versamark and added the Hero Arts White Embossing Powder and heated it with a hot glue gun. I finished my card off by adding some Hero Arts rhinestones and twine. Categories: anything goes, Challenges, Embossing, Flowers, Handmade Cards, Hero Arts, One Layer, Valentine | Tags: anything goes, Challenge, embossing, Glossy Accents, Hero Arts Floral Heart Stamp & Cut, Hero Arts Rhinestones, Hero Arts Valentine Message & Three Hearts Fancy dies, Valentine | Permalink. Winter is our rainy season and I’ve always got an umbrella ready by the door. This thinking led my thoughts to creating something with an umbrella. AHA I had it and I hope you like it too. Kind of a simple design, but it works so well with the background. I’m not sure if you remember when Hero Arts put out two CDs, one on flowers and one with an eclectic flair. I had printed the background out several years ago and ran across it when looking for a suitable background. I thought “black goes with everything” and it certainly does here. Categories: anything goes, Digital, Handmade Cards, Hero Arts | Tags: 2017, a2z Scrapbooking, anything goes, Arlene, card, Digital, Hero Arts | Permalink.